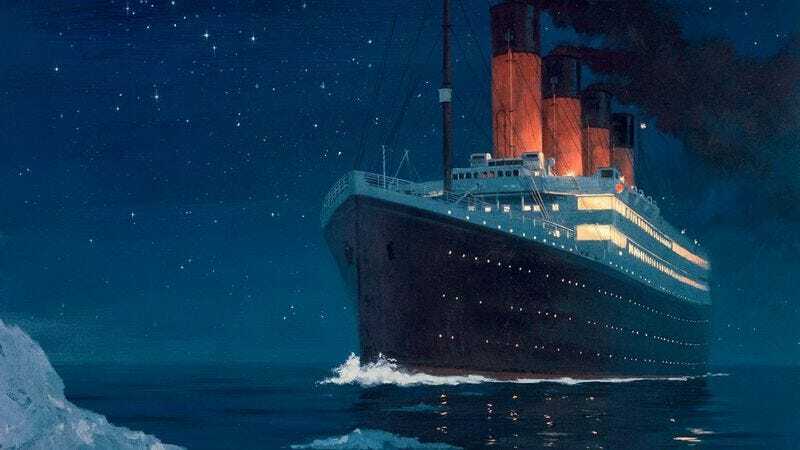 Rumor has it that Bob Dylan's upcoming album Tempest will feature a 14-minute song about the sinking of the Titanic, which seems pretty plausible, right? The guy has written about the Titanic before, and he likes to tell long, repetitive stories, not unlike your very talented Grandpa. Well, Tim Heidecker (of Tim & Eric Awesome Show, Great Job!) has decided to try and anticipate Mr. Dylan's song, creating his own epic that encompasses not only the amazing, historically accurate tale of the ill-fated ship, but also the adventures of a movie pirate named James Cameron. Can you get through the whole thing? If you don't, you might miss couplets like "The original had always seemed kinda flat to me / So the master upgraded it to be seen in 3D." Check it out below. Bob Dylan's Titanic by Tim Heidecker from Tim Heidecker on Vimeo.